Our 10th Doctor suit tutorials are up and running! 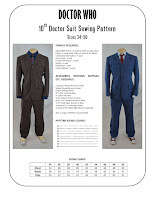 We've uploaded both the brown and blue suit tutorials to our 10th Doctor suit blog, where you can read through the tutorial online as an instructional blog and/or download a PDF. 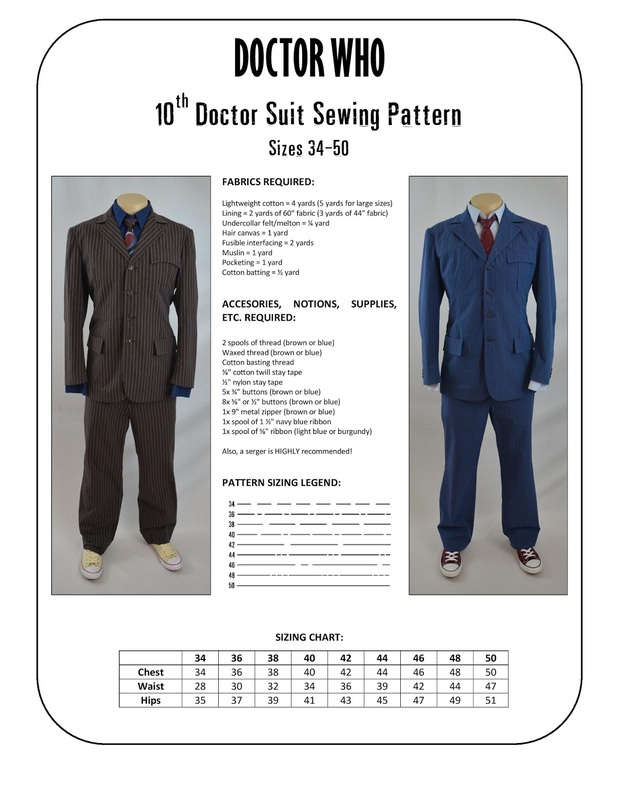 Those of you who don't know much about tailoring needn't worry; our tutorials are extremely thorough, and each tutorial has about 400 photos and diagrams as we walk you through every step of the process! 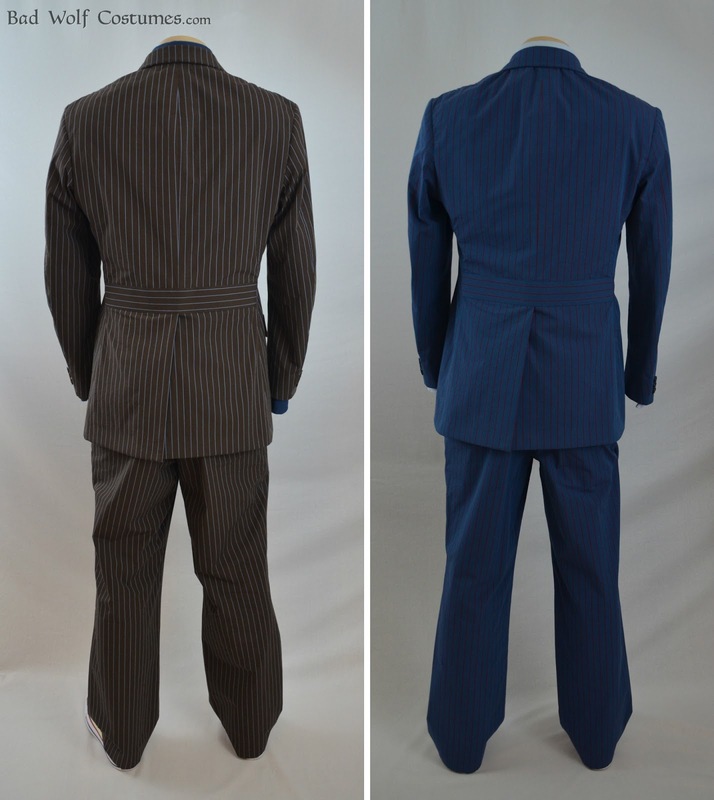 Plus, we've recommended several books for reference and additional reading. 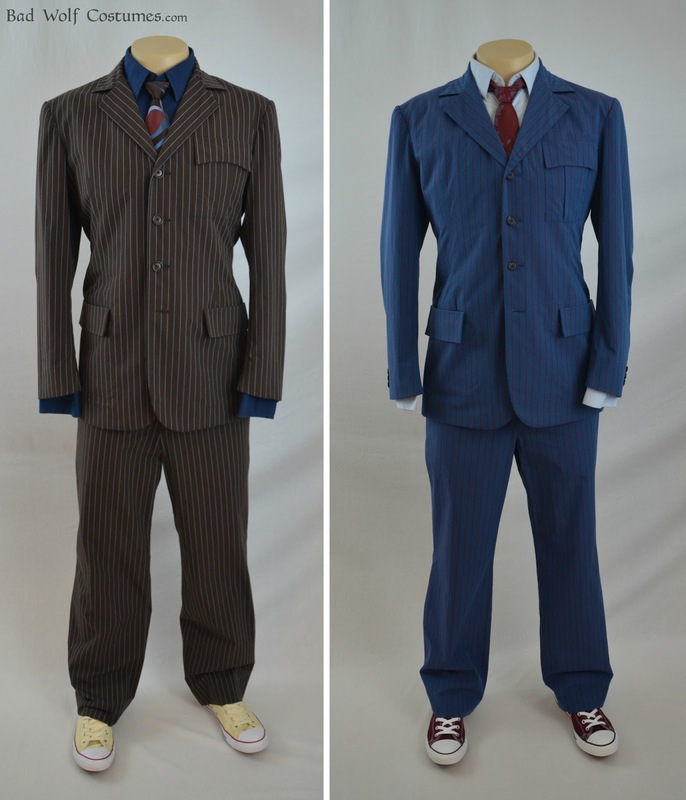 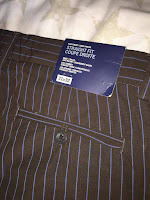 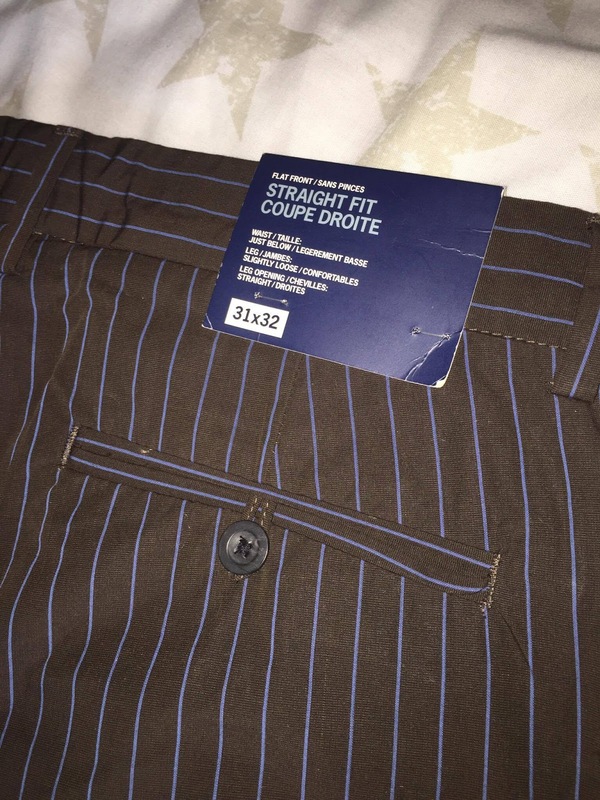 We've also expanded our suit analyses a bit, with a few additional notes and examples here and there, and an examination of a pair of authentic GAP trousers, so be sure to give it another read-through! 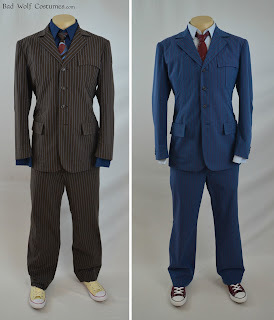 My 10th Doctor blue suit is almost finished! 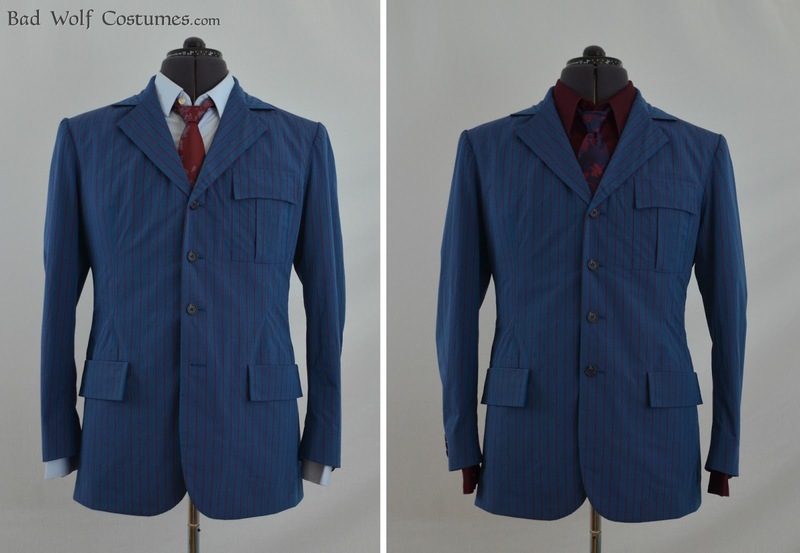 The jacket's been slow going because I've been sort of burned out with all this tailoring lately and have had lots of other things clamoring for my attention, but it's been going well nevertheless! 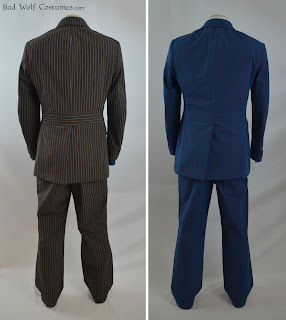 I'm pleased with the roll and drape of the lapels; I pulled my padstitches a bit tighter this time and tried a different pressing/steaming technique. 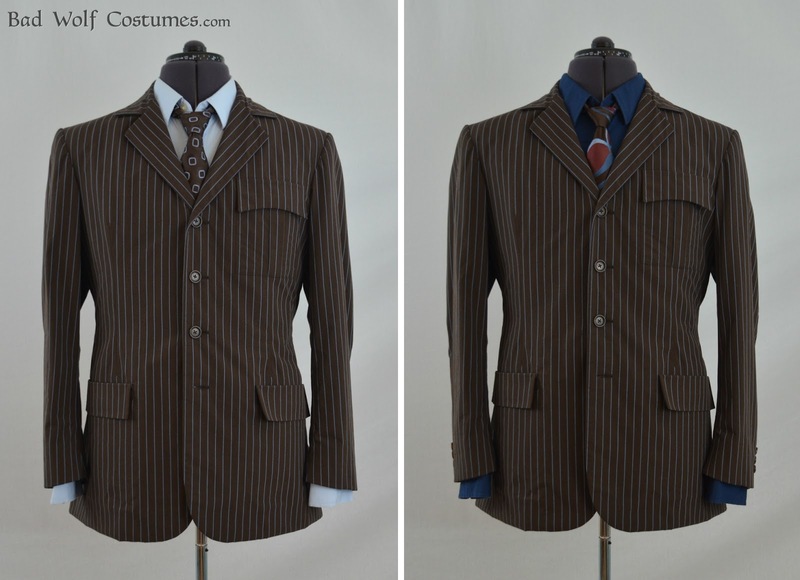 Here's the jacket with the sleeves (plus sleeve heads and shoulder pads) and undercollar attached. 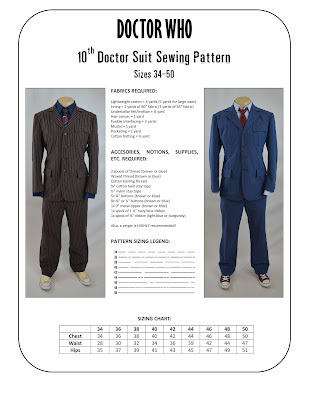 Sewing pattern and tutorial coming VERY soon!